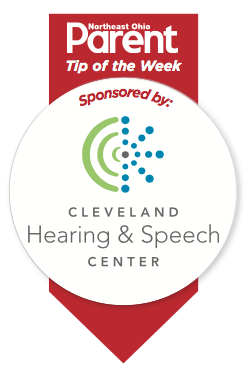 Cleveland Hearing & Speech Center. Responds to sounds (startles, turns head). By 6 months, responds to name being called. Stops what he or she is doing when name is called. Demonstrates facial expressions and smiles. Gestures by reaching and pointing with vocalization. Waves bye-bye, gives five, seeks attention from others and plays turn-taking games such as peekaboo. Imitates sounds such as: animals (woof, moo) and cars (beep). Points to body parts when named. First words emerge around 12 months with a minimum of 50-100 words by age 2. Common first words include names (mama, dada), objects (nana – banana), verbs (go, up, eat),yes/no, and please. Listeners understand 65% of what your child is saying by age 2. Answers what and where questions. Listens to 5-10 minute story. Vocabulary expands to approximately 900-1,000 words between age 2 and 3. Names a few objects by function. Listeners understand approximately 80% of what your child is saying by age 3. Follows three-step directions by age 5. Understands concepts of quantity (more/less), quality (big/little), and spatial terms (top,bottom, above, below). Asks and answers questions (what, where, who, why). Vocabulary increases to approximately 1,900 words by 4-1/2; 2,200 by age 5. Listeners understand almost all of what your child is saying. Child shows an interest in books and remembers information from book. Recognizes sounds and letters in name.